Among the 100 richest people today, 73 are self-made. Self-made billionaires have one business strategy in common: They took enormous risks. There is no careful, cautious path that leads from humble beginnings to Bloomberg's list of the richest people in the world. Eight entrepreneur billionaires fall into both categories: They were neither born into money nor have a college education. 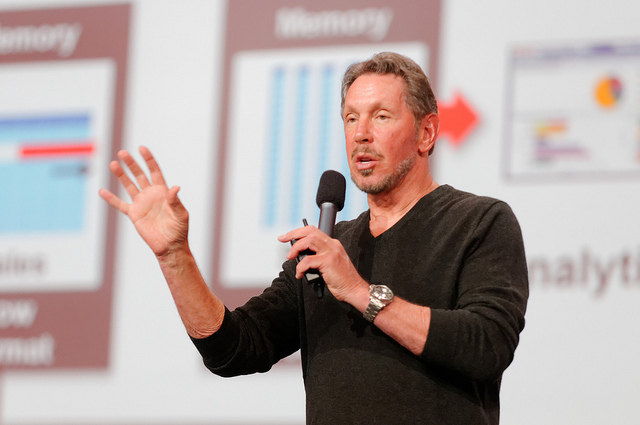 Consider Larry Ellison, the founder of software giant Oracle. He was an orphan, and recently Ellison had estimated net worth valued at $37 billion. And Amancio Ortega, founder of fashion retailer Zara, was the child of a railroad worker and recently he had estimated net worth of $52 billion. What can be learned from such extraordinary journeys? As the infographic (below) shows, these eight entrepreneurs have some similar business strategies. Five of this elite group invested during hard times, four bought companies that were all but ruined at the time of purchase, three had one lucky deal that changed the course of their life, seven were early adopters of trends that had yet to be recognized, and for half of these self-made billionaires, their successful venture was not their first business. Three of these self-made billionaires make a point to eat lunch with their employees. Of these eight underdog billionaires, who do you consider the most inspiring and why? Copyright © 2013 Entrepreneur Media, Inc. All rights reserved.